Welcome to the official website of Rouse Hill Anglican College. I hope that you find the information about the College helpful. It has been my privilege and delight to serve in the position of Foundation Principal of Rouse Hill Anglican College, having been appointed in October 2001. To be involved in the initial development of the College and to witness the growth that has happened over the years has been both exciting and energising. We give thanks to God for his great blessings upon the College, as we have been engaged in opening opportunities and transforming lives of students who have been enrolled at the College. Selecting a school for your child is a complex process as there are many other aspects apart from academic achievement that need to be considered. 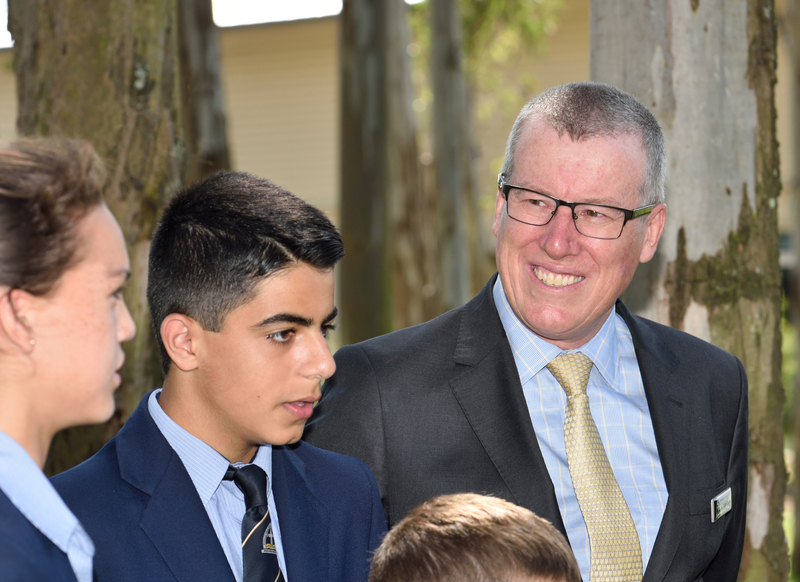 Rouse Hill Anglican College seeks to develop the whole child, emphasising academic excellence, but complemented by a strong pastoral care program and a broad range of co-curricular offerings. Our College is known for its pastoral care and respect for every member of our learning community. The staff of the College focus on individual achievement, recognising the development of potential in each child. The College seeks to provide extensive opportunities for students to excel in academia, in the sporting arena, in creative and performing arts, and in leadership development. Service to others is an important aspect of student development at Rouse Hill Anglican College. We teach our students to serve because of the model of service that Jesus has provided for us as demonstrated in the Bible. Our leadership development program, our support of local and overseas organisations and our participation in local service activities, all emphasise service to others. Senior School students have the opportunity to travel overseas to be involved in service projects that support communities in extreme poverty. Our website seeks to display the diversity of life at Rouse Hill Anglican College. I would encourage you to visit the College in person, and to witness our community in action. Appointments can be arranged for tours with our Registrar.